Broadview has been a proud supporter of this event since the beginning. It’s a professional, big city style show right here in our small city of Grand Rapids, Michigan. 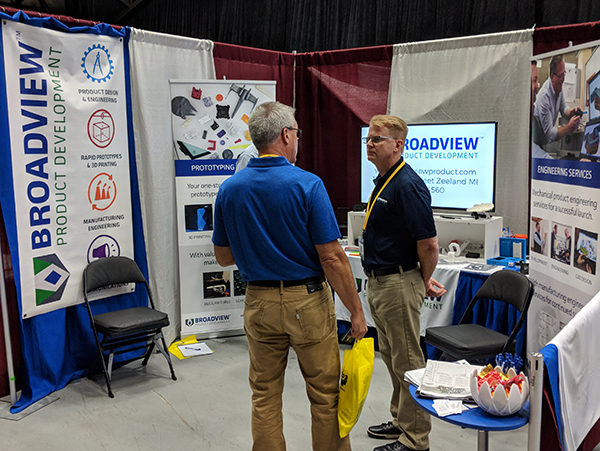 Interesting vendors come from around the country once a year to show their manufacturing advancements off to buyers and network with people in their industry. The Grand Rapids show was such a hit that they added a second day to the show, which takes place across the state in Novi. Check out the Advanced Manufacturing Expo website for more information.